There are over 900 chiles the world. And while we don?t carry that many varieties, we do carry varieties that you can?t find anywhere else. All made with the highest quality ingredients and handpicked by our discerning buyers. Our pastes and relishes often provide that magic ingredient that chefs are looking for to make a dish unexpectedly wonderful. They can be used as dressings, marinades, rubs, sauces, and salsas. If you find a special way to use our pastes and relishes, we?d love to hear about it. This sauce packs a lot of punch with the warm smoky flavors of chipotle enhanced with a sauce of tomatoes, garlic, vinegar, salt, and spices. The chipotle has really gained in popularity in recent years and almost one-fifth of the jalape?o crop is processed as chipotles. You can count on a smoky, sweet flavor with tobacco and chocolate undertones. Warning: A little goes a long way! Say hello to zestier salads, stews, soups, nachos, or anything else that you want to wake up a bit with more flavor. The most delicious way to share the jalape?o love. Our relish can be used on top of hot dogs, sausages, hamburgers, sandwiches, melted cheese for nachos, and hot pretzels. The drying process highlights the flavors of the chili event more so there is a difference in taste between a dry and fresh chile of the same variety. Store them in an airtight container in a cool, dry place and they?ll keep for a few months. The ancho is a dried poblano chile and is the most common dried chile. Can you taste hints of coffee, raisins, or plum? Don?t even try to make a mole without it! Shake? Shake! Shake! Cascabel is Spanish for rattle, referring to the rattle sound this chile makes. Its flavor almost reminds us sipping our favorite Bordeaux with hints of tobacco and nutty flavors. You?ve probably only tasted this chile in its dry form but it?s oh-so-memorable with a dark brown chocolate color and zesty taste. Named after its treelike stems, this chile is bright red and elongated. It has a searing hot flavor which is preserved when it?s dried to make sauces. Chipotle is the undercover name for large, smoked jalape?os. It?s smoky and sweet and has just enough of an unexpected tanginess to keep people of their feet. Ode to the guajillo: so zesty with a trace of berry and pine. It?s one of everyone?s favorite chiles and can often be found in salsas, chili sauces, and other spicy dishes. Are you ready for a taste of paradise? Just close your eyes and you can taste traces of coconut and papaya with just a hint of berry. So delicious in sauces. When people think of chiles, the green jalape?o is what comes to mind for most people. Named after the town of Jalapa, the jalape?o is the most widely used chile in the United States. Mexican oregano is a relative of lemon verbena and has notes of citrus and even licorice. 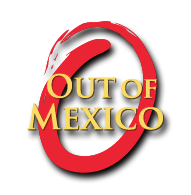 It?s hard to think of a Mexican dish that doesn?t use oregano. Best friends forever with chile peppers, cumin, and paprika. The dried, smoked jalape?o hails from Veracruz, Oaxaca and Chihuahua. It?s not a hot chile but instead tantalizes with a lighter, smoky flavor with hints of plum, fig, and tea. The polano comes in shades of hot and even hotter and is one of the most popular chiles in Mexico. We especially like it in moles and pipians. Hello red, otherwise known as the New Mexican chile. These bright reds have a taste that’s a little wild and a little rangy. Naturally, it?s the key ingredient in red chile sauces. Red jalape?os are just green jalape?os ripened! And with age comes a sweeter flavor. Reds are dried by smoking. Oh what flavor! The Californian chile is a cousin of the New Mexico chile and was developed in Southern California. This green chile produces a delicious veggie flavor that is improved by smoking. It?s particularly yummy in stews and sauces. The tomatillo tends to run in the same crowed as chiles, being a staple in Mexican dishes.